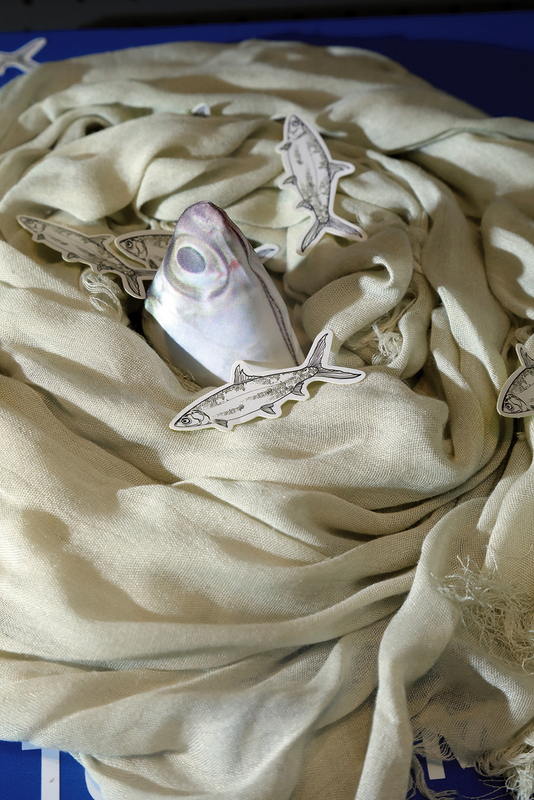 The textile industry and fish farming would seem to be very remote from each other. 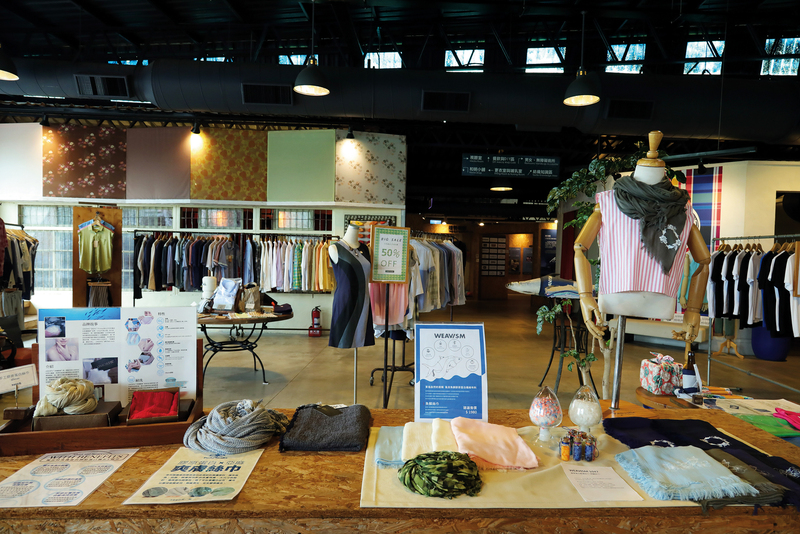 But in Tai­nan, a bastion of both aquaculture and textiles, there is a third generation of textile industry entrepreneurs who are boldly innovating to connect the two. They have taken the milkfish scales that are a ubiquitous byproduct of aquaculture, and used biotechnology to extract “collagen peptide.” This material is turned into “bionic” fibers, which are then transformed into fashionable clothing. This sterling example of applied innovation has opened up new commercial opportunities for these traditional industries. “At first, it was just a simple idea: We wanted to create more commercial value for the company and bring in more income for fish farmers,” says James Hou, general manager at Camangi Corporation. From raw materials, to spinning, to fabric weaving, to dyeing and finally the finished garment, behind each piece of attire there is a complete industrial chain, with close relationships and mutual influence between the upstream and downstream segments. 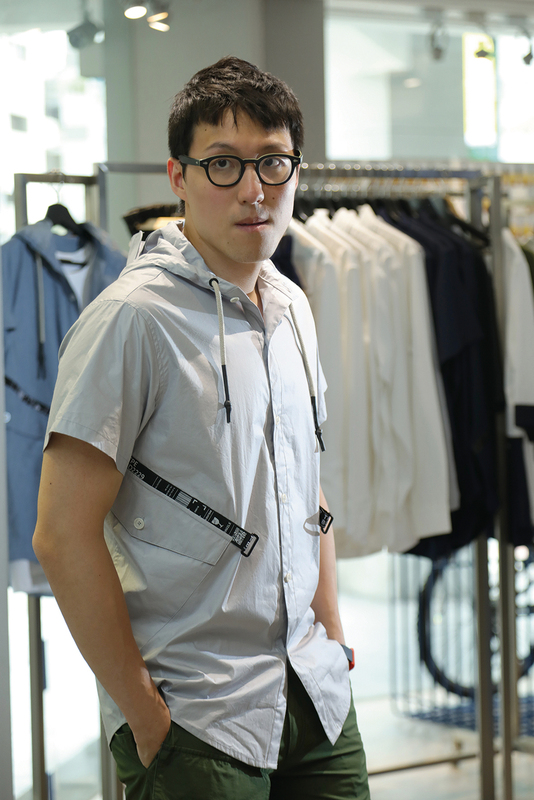 As a textile fiber developer, James Hou stands at the most upstream point in the textile industry value chain. With Umor­fil, he has created enormous commercial opportunities for the whole of this tightly linked industry. It is not only Taiwan firms that place orders; even frontline international clothing brands are his customers. But since the brand was created, he has devoted ten years to making a success of Umorfil. 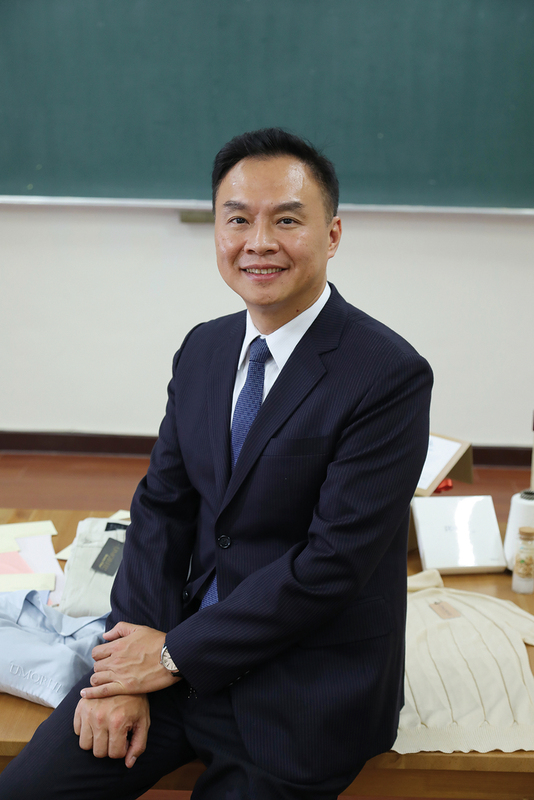 Back then Hou, who was still studying for his doctorate at NTU, saw the Japanese using collagen extracted from sharks as raw material for food products, and got his inspiration from that. He decided he would apply collagen to the textile industry, and as a native of Tai­nan, he first started working with the flourishing milkfish industry there. He purchased waste milkfish scales from fish farmers and processed them into collagen peptide. Today, Umor­fil requires ten to 20 tons of fish scales each month. Besides milkfish, another major source is the widely farmed tilapia, but by now the operation has reached the point where the supply of fish scales from Taiwan cannot meet demand, and Hou’s company has extended its purchases to overseas. Processing the fish scales is quite a complicated affair. They must first be washed, dried, and ground up, after which enzymes are added to break them down into individual amino acids. After purification, unwanted amino acids are discarded, while the desired amino acids are retained and recombined into peptides. Then the peptides undergo “supra­molecular ­polymer­ization” with various other raw materials. 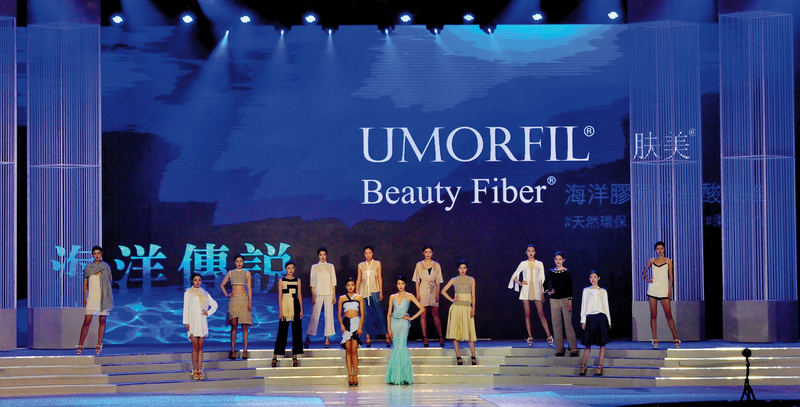 This patented technology leaves a distinctive imprint that is not easily replicated by other means, giving Umor­fil fiber its unique texture. The collagen peptide amino acids that Umor­fil contains give it a delicate softness to the touch and make it highly skin-friendly. The high quality and functional properties of Umor­fil are the keys to why designers flock to it and specify it as a fiber of choice. The functional groups contained in the amino acids can neutralize odors produced by the body, then gradually release them. Therefore even if you don’t immediately wash your clothes after exercising there will be no bad odors. 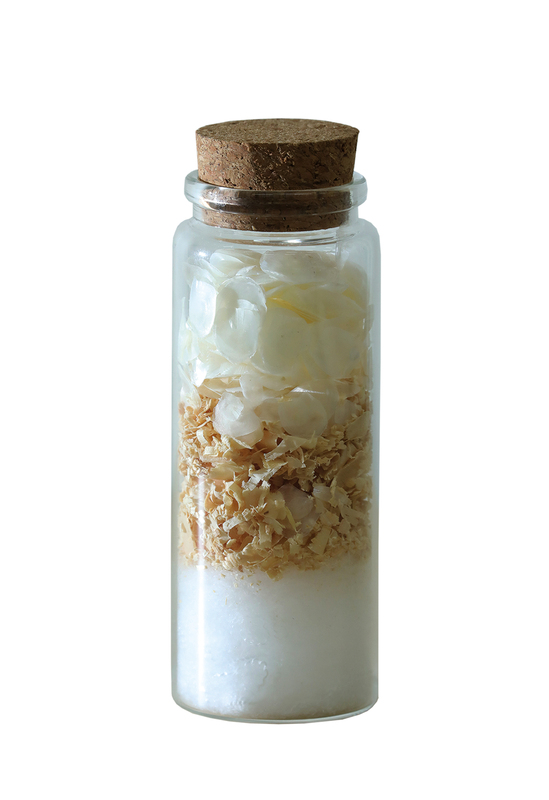 Furthermore, Umorfil’s moisture capacity of 16‡18% far exceeds that of cotton (8%) and polyester (0.4%), making it outstandingly effective at preserving moisture. Besides helping to slow the loss of moisture from the surface of the skin, it inhibits the buildup of static electricity. In addition, the polymerization process permanently attaches the collagen peptide to the fiber, so that unlike coated fibers, its effectiveness is not reduced even after repeated washing. Camangi is actively developing international markets for Umorfil. Being made from a fish farming waste product, the fiber embodies the concept of the circular economy, and so it had its first success in Europe, where people tend to be more environmentally conscious. Take for example the twice-yearly Première Vision Paris, the textile industry’s leading trade show, which is famous for its rigorous selection criteria. Exhibitor companies must both be forward-looking and be indicators of future trends. When Umor­fil first took part, it was little known and drew little attention. Today it is a permanent fixture at the show, and can stand on equal terms with major international companies. Besides the opportunity to network with manufacturers and designers, as Taiwan’s only fiber supplier exhibiting at the show, its Made-in-Taiwan products can showcase the capabilities of Taiwan’s textile sector at the front lines of the industry. 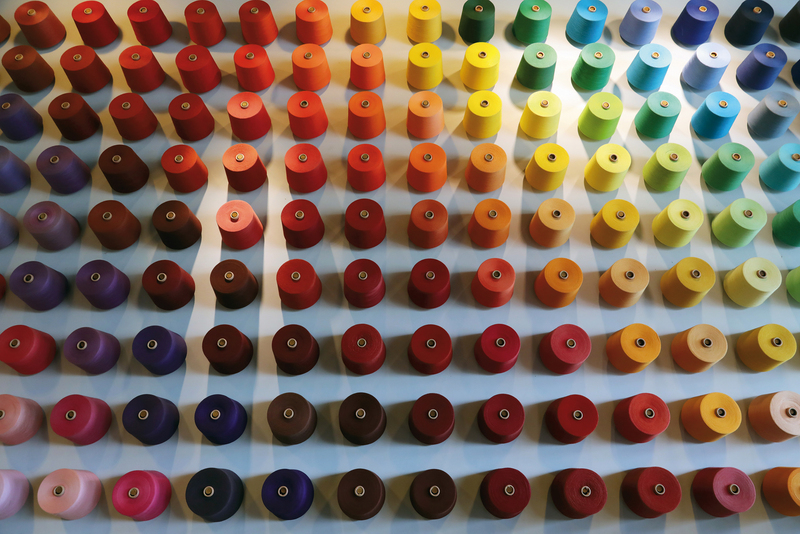 Because there is a high degree of division of labor in the textile industry, even when his product was in the research and development stage James Hou took advantage of Tai­nan’s dense industrial cluster, working with a number of yarn and fabric makers to spin his fibers into yarn, weave the yarn into cloth, and test the results. 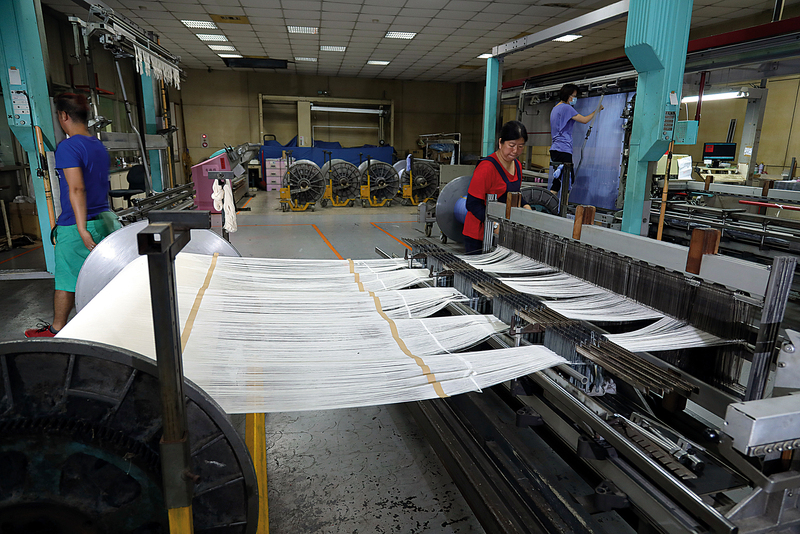 One of the firms that works with Umor­fil, the Her­Min Textile Company, is similarly located in the major milkfish-producing region of Tai­nan’s Qigu District. Although Her­Min mainly does contract manufacturing, it has a clear market profile as its sophisticated production capabilities enable it to make challenging woven plaid fabrics. Many famous international clothing brands rely heavily on this firm as a partner. Positioned as it is at the top end of the market, Her­Min tends to work with natural fibers like cotton, linen, wool, or silk. This orientation fits right in with Umor­fil’s characteristics of refinement and biodegradability. Because every different yarn has its own unique features, the task of fabric makers is not merely to weave yarn into cloth, but rather, by skillfully combining different fibers and weaving methods, to fully bring out the advantages of each type of yarn. When Her­Min began to work with Umor­fil yarn, they first experimented with weaving it in a mixture with silk. But because Umor­fil is already five times the price of ordinary yarns, when combined with expensive silk, although the texture was stunning, there were concerns the fabric would be too dear. 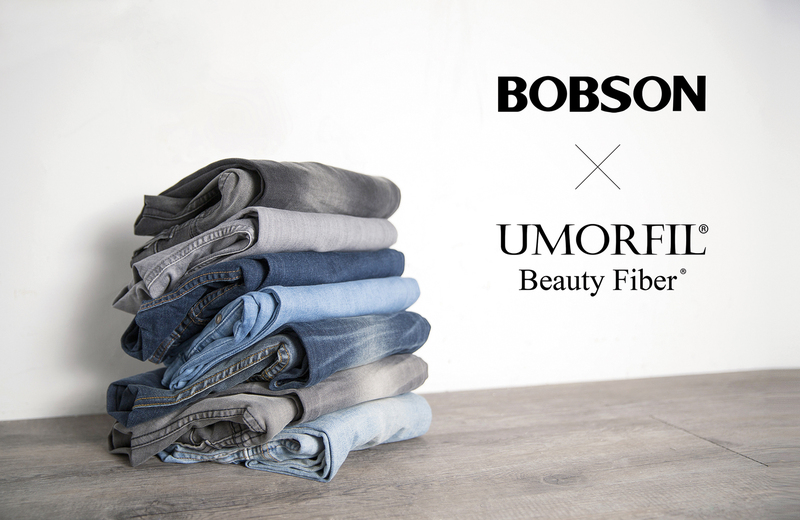 As for linen and wool, these fibers’ own rather rough textures made it impossible to detect the soft and smooth texture of Umor­fil in the mixes. “In the end it was best to match it with cotton,” says Her­Min junior vice president ­Chuang Ching­-lien. By a happy coincidence, in 2014, when in the face of stiff market competition Her­Min was looking to create its own brand in order to move away from doing purely OEM work, Umor­fil yarn came along at just the right time to help pave the way to a successful transition. Tony Chen, manager of the clothing brand “Weavism” and part of the third generation at Her­Min, defines his brand as a mid-priced, well-designed brand with functionality and travel as its themes. Besides using Her­Min’s own production lines, the brand also makes deft use of Tai­nan’s textile industry cluster by working with other firms. Of course, Umor­fil is one of these. About one-fifth of the clothes made by Weavism use fabrics that include Umor­fil. Tony Chen sees lightweight scarves as the product through which people can best experience collagen peptide yarn. Besides having no size limitations, when used in the summer, one can feel the cool sensation that the material brings. Especially when one considers that many women neglect to take care of their necks, since collagen peptide has a moisture-preserving effect, the scarves perform well whether one is outdoors in the hot sun or indoors in dry air-conditioned spaces. Although Umorfil has received great reviews from all sides, James Hou modestly says that the reason it has been able to make such a splash on the market is in large measure a matter of fortuitous timing. 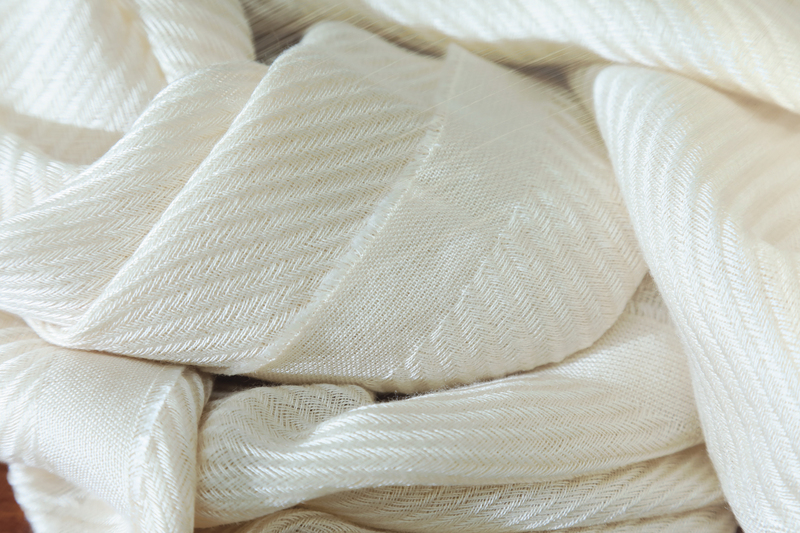 In the end, in an era of intense competition in a globalized market­place, functional fibers’ high value-added can create more commercial opportunities for brands.